You can join sessions in browsers other than Firefox. If Firefox is trying to launch the session with the Zoom or VSee install file instead of the program file, it will just install the video app again instead of connecting to your session. If you or your host are using our VSee app, you may see the following: an "Installation completed" message or the VSee login screen (if you've connected successfully before). When you attempt to enter a waiting room or join a participant to a session, SecureVideo launches our videoconferencing application for you. If you're using Firefox, it will ask you to confirm which program you wish to launch. See the image below for an example. 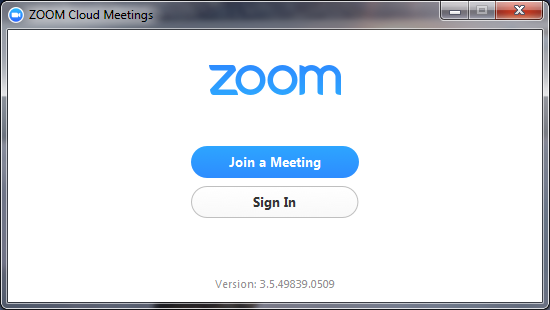 If you or your host are using our VSee app, it will show "VSee" instead of "Zoom Meetings" or "zoommtg". If you click the available "Zoom Meetings" or "VSee" and you click Open link, Firefox will allow you to proceed. However, if you click "Choose other Application" to search for another file and try to use that (such as the video app installation file), the launch will fail, and Firefox will try to use that path each time in the future. This will prevent from using Firefox for your SecureVideo sessions, unless you reset your program settings as detailed below. 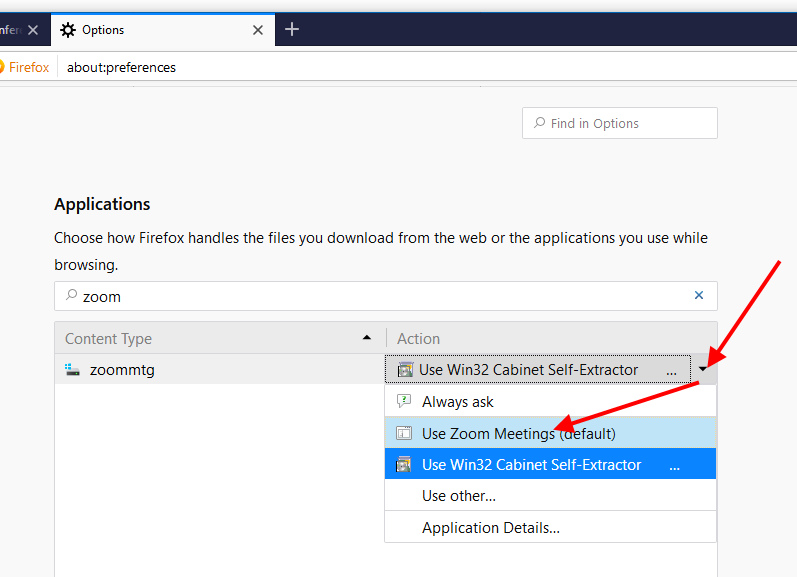 Note: if you did not see "Zoom Meetings" or "vsee" automatically shown by Firefox, it means that VSee is not installed on your computer. 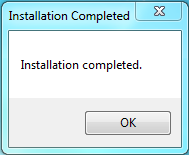 You will need to install it. 1. 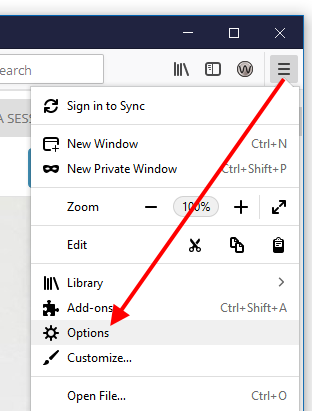 Click on Firefox's Menu icon, and then click on the Options option. On a Mac, this option is called Preferences. 2. Scroll down until you see the Applications section. In the search field, enter "zoom". If you or your host are using VSee, enter "vsee" instead. 3. In the "Action" column, click on the little triangle on the right-hand side. 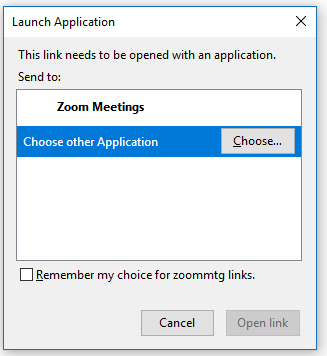 Select "Use Zoom Meetings (default)" from the drop-down menu. 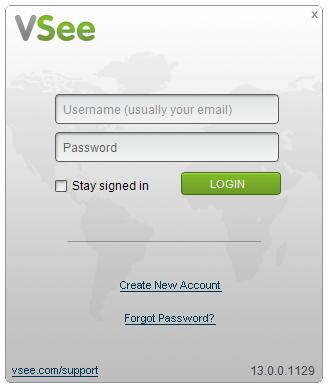 If you or your host are using VSee, select "Use vsee (default)". 4. It should save automatically. Return to your dashboard or the waiting room page, and click to enter the meeting again.